Oluwaseyi Balogun received the Ph.D. degree in Mechanical Engineering from Boston University in 2006. Between 2006 and 2007, he worked as a Postdoctoral Research Fellow in the Materials Science and Engineering Department at The Johns Hopkins University, and as a Visiting Scientist at the Lawrence Livermore National Laboratory. He joined the Northwestern University faculty in 2008, where he currently holds the position of Associate Professor in the Departments of Mechanical Engineering and Civil and Environmental Engineering Departments. His research interests includes, elastic/acoustic wave propagation in periodic structures, optics-based experimental mechanics methods for materials characterization and imaging, and optical measurement of phonon transport in electronic materials. Thomas Dehoux received his Ph.D. in acoustics from the Université de Bordeaux 1, France, in 2007. From 2007 to 2009 he was a postdoctoral research fellow in Hokkaido University, Japan, where he studied nano-contact hypersonic imaging. Since 2009 he is research scientist at CNRS. He conducts researches at the Institute for Light and Matter, Université de Lyon, France. He develops new approaches based on acoustics and opto-acoustics for biophysics and medical applications. 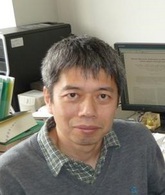 For these works, he was awarded the CNRS bronze medal for the year 2013. His current research interests include tribology and mechanics of cells and tissues, thermal imaging, mechanobiology of cancer. Arthur Every has a PhD in physics from Reading University in the UK. He has been at the University of the Witwatersrand since 1970, working his way up from Lecturer to Full Professor, and since 2006 as an Emeritus Professor. He has held visiting positions at a number of universities abroad, including Oxford, ETH Zurich, Bordeaux 1, Cornell, MIT and Illinois. He is on the boards of a number of international conference series, including ICU. He is Editor-in-Chief of the international journal Ultrasonics. He is a Fellow of the Royal Society of South Africa, and a Member of the Academy of Science of South Africa. Most of his research falls within the broad area of acoustic waves and thermal phonon transport in solids. Topics he has worked on over the years include laser ultrasound, surface Brillouin scattering, elastodynamic Green’s functions, acoustic microscopy and ballistic phonon transport. Christ Glorieux, born July 12, 1965, in Kuurne, Belgium, studied physics at the Katholieke Universiteit Leuven (KU Leuven), Belgium, and graduated in 1987 with a thesis on “Investigation of the structure of amorphous silicon by electron spin resonance and electrical conductivity measurements.” He obtained his Ph.D. degree in 1994 on the topic “Depth profiling of inhomogeneous materials and study of the critical behavior of gadolinium by photoacoustic and related techniques,” in Laboratorium voor Akoestiek en Thermische Fysica (ATF) at the Physics and Astronomy Department of K.U. Leuven. After working one year as an R&D engineer in an industrial company he continued his research into thermo-elastic properties of soft condensed matter by photoacoustic and photothermal techniques in ATF, with a postdoctoral visit at the Department of Chemistry of the Massachusetts Institute of Technology, Cambridge, USA in 1999 and 2000. Now he is an Associate Professor at the Laboratory of Soft Matter and Biophysics, and he is active in research and teaching physics and sounds and waves, general physics, and experimental physics to undergraduate and graduate students. He is leading a research group of typically 5 to 10 young researchers in the field of photothermal applications and laser ultrasonics for the fundamental study of the thermophysical properties of complex soft and heterogeneous matter, the development of measurement techniques for characterization and depth profiling of thin (sub-micron) layered structures, and non-destructive evaluation (see also perswww.kuleuven.be/~u0005780/index.html). He is also leading a research division with consulting activities in physical acoustics, room acoustics, building acoustics and environmental acoustics. In 2009, he organized the 15th International Conference on Photoacoustic and Photothermal Phenomena (ICPPP15). In April 2018, 237 articles (co-)authored by him were listed on WebofScience (h-index 28). He supervised 22 PhD’s and is currently promotor of 4 PhD students. Osamu Matsuda received his Dr. Sci. degree in physics from Osaka University, Toyonaka, Osaka, Japan, in 1991. In the period from 1991 to 1998, he worked as a Research Associate in Faculty of Science, Osaka University. Since 1998, he has been working as an associate professor in the Faculty of Engineering, Hokkaido University, Sapporo, Hokkaido, Japan, specializing in particular in laser picosecond ultrasonics, surface acoustic wave imaging, phononic crystals, and semiconductor physics.